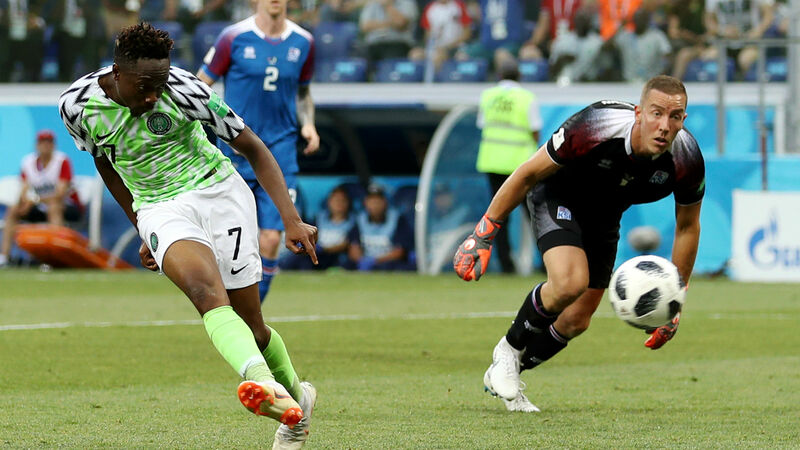 Ahmed Musa says he is excited to become Nigeria’s leading scorer at the World Cup after his brace helped the Super Eagles to a 2-0 win against Iceland at the Volgograd Arena on Friday. However, the Leicester City winger, who spent last season on loan at former club CSKA Moscow, has called for total focus against old foes Argentina, who they face on Tuesday at St. Petersburg in a decisive battle to determine qualification to the round of 16 of the tournament. “For me, I feel very happy being the top scorer (for Nigeria) in the World Cup,” the 25 year old, who has now scored 4 times for Nigeria at the World Cup, said. “It’s not that easy. “But I have to thank my teammates because they gave me all the support and my chief coach here, because if he doesn’t believe in me, he can’t put me in the pitch. So I thank everybody for the support. Nigeria face Argentina on Tuesday knowing that a win will guarantee them a spot in the last 16, while a draw will also be enough provided Iceland don’t defeat Croatia by a 3-goal margin.